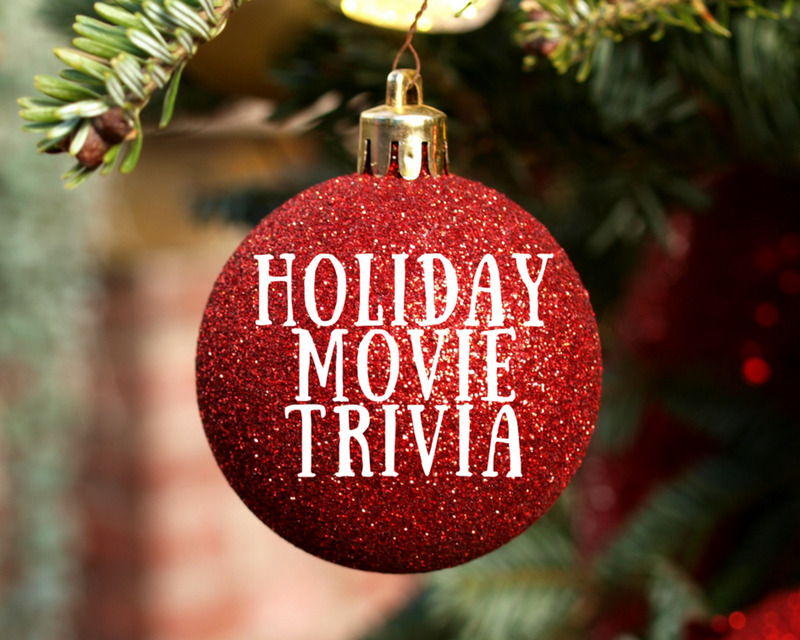 I've created these holiday movie trivia questions all on my own from some of my favorite Christmas classics. 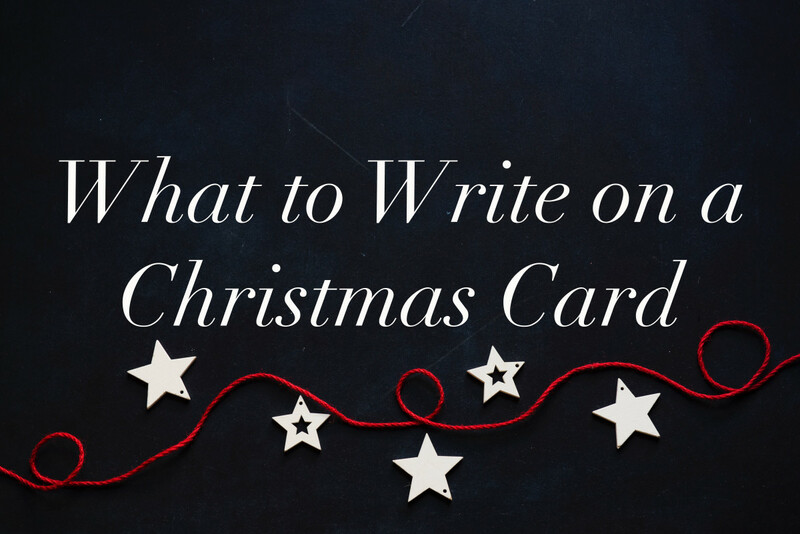 I've included everything from modern tales such as Elf (my personal favorite) all the way back to White Christmas. I hope you enjoy these questions! If you've got a question that you're burning to add to the list, please let me know in the comments section below. In the 2009 animated version of the film A Christmas Carol, which features Jim Carrey, according to the death certificate shown in the film, in what year did Jacob Marley die? Jacob Marley died in 1836. How many years pass between Jacob Marley's death and his ghostly visit to Scrooge? Marley died seven years before his ghost visits Scrooge. What are the three Christmas ghosts that visit Scrooge? Ghost of Christmas Past, Ghost of Christmas Present, and Ghost of Christmas Yet to Come. What is the name of Bob Crachit's son? Tiny Tim. What is the name of Scrooge's fiancee? Belle. Which department store has the item in its window that Ralphie wants? The gift Ralphie wants is in Higbee's. Which Christmas gift does Ralphie want so badly? Ralphie wants a Daisy "Red Ryder," a carbine-action, 200-shot, range-model air rifle. 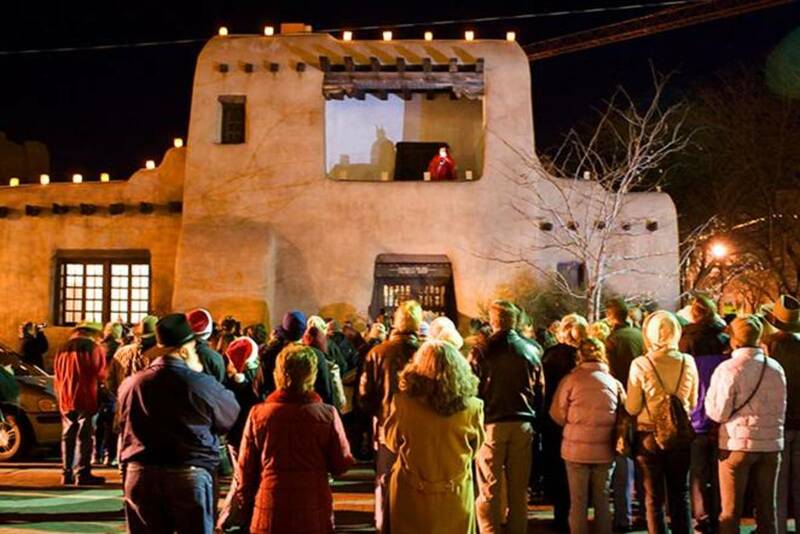 What TV station runs A Christmas Story for 48 hours straight from Christmas Eve to Christmas day? TNT. 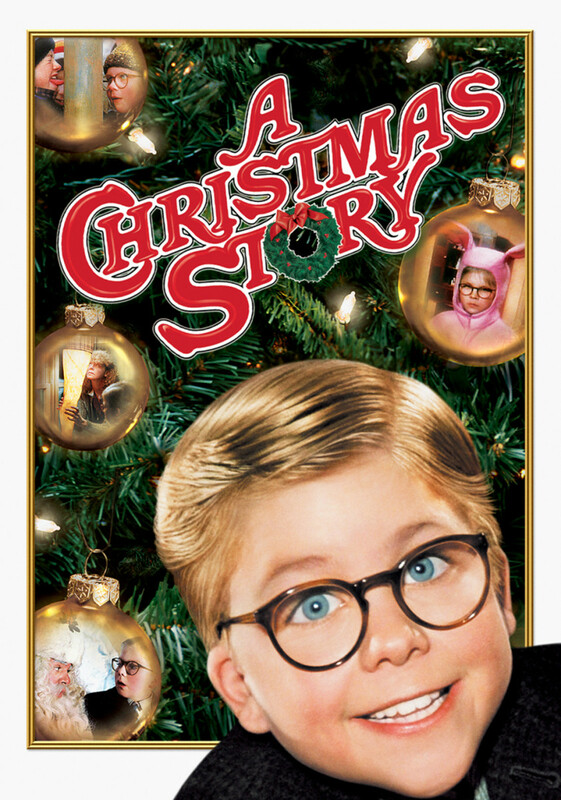 In what state does A Christmas Story take place? Indiana. Who gets their tongue stuck to the iced pole? Flick. In the 2004 Christmas comedy Christmas with the Kranks, what country does the Kranks' daughter leave for on the day after Thanksgiving, causing them to decide to forego Christmas festivities? The Kranks' daughter heads off to Peru. Which two actors play the movie's leads, Mrs. and Mr. Krank? Jamie Lee Curtis and Tim Allen. What do the Kranks decide to do instead of having a traditional Christmas? A ten-day Caribbean cruise. Who comes home for Christmas to surprise Luther and Nora? Their daughter Blair and her fiancé Enrique. Which adjective best describes the Christmas tree in Christmas with the Kranks: verdant, scraggly, or dying? Scraggly. 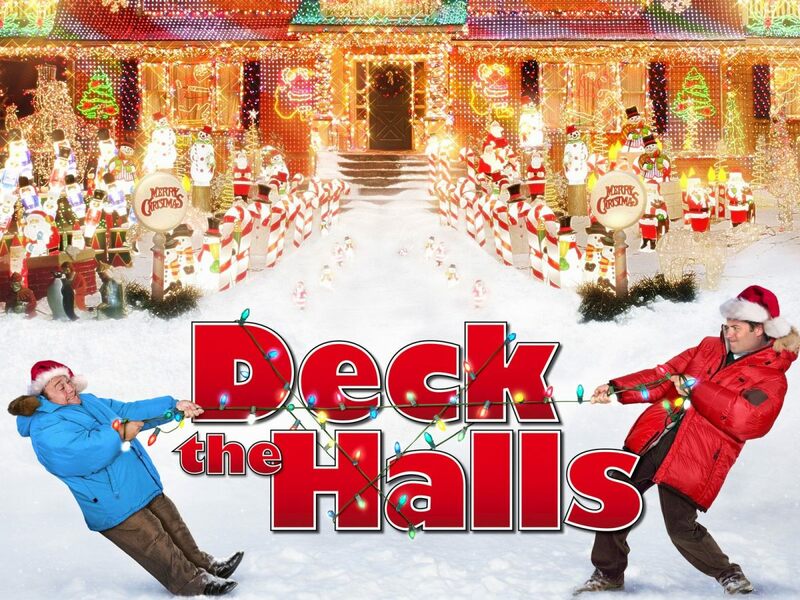 In the 2006 comedy release Deck the Halls, what is Steve Finch's profession (Matthew Broderick's character)? Steve Finch is an optometrist. In the 2006 comedy Deck the Halls, how much money does Buddy Hall (Danny DeVito's character) win by selling a car-lot owner one of his own cars? Buddy wins $3,000.00. Why are Buddy and Steve fighting? Buddy contends for Steve's "the Christmas Guy" title. Why does Buddy decide to start extravagantly decorating his house? Because he wants his house to be seen on MyEarth and thinks that bedecking it with a huge number of Christmas lights will make it visible. When the lights on Buddy's house appear not to work, what gets used instead? The crowd uses their cellphones as lights. In the 2003 film Elf, what name is given to the human child Santa accidentally carries to the North Pole? The human child is named Buddy. In the 2003 Christmas comedy Elf, what was the first rule of The Code of Elves? The Code of Elves' first rule is "Treat every day like Christmas." In the 2003 film Elf, what is the make and model number of the "500 reindeer-powered" jet turbine engine that powers Santa's sleigh? Santa's super-sled engine was called "The Cringle 3000." The actor who plays the elf Ming Ming also appears in A Christmas Story. What is that actor's name? Peter Billingsley. What kind of company does Walter start? A publishing company. In the 1988 comedy Ernest Saves Christmas, the film opens with Santa Claus on a plane landing in what city? Santa's plane lands in Orlando, Florida. How old does Santa claim that he is? 151 years old. Which actor plays Ernest P. Worrell? Jim Varney. Who is the villain in Ernest Saves Christmas? Unlike the other movies in the series, Ernest Saves Christmas has no villain. In what year did the film Ernest Saves Christmas come out? 1988. In the 2008 film Four Christmases, what are the central couple's first names (played by Vince Vaughn and Reese Witherspoon)? Vince Vaughn's character and Reese Witherspoon's character are named Brad and Kate, respectively. What is one of the two other names that Four Christmases is known as? Anywhere but Home and Four Holidays. On which day is Brad and Kate's child born? New Year's Day. Where do Brad and Kate get trapped while traveling? At the San Francisco International Airport. In the 1942 classic Holiday Inn, what nightclub does the movie open at on Christmas Eve? The nightclub is called "The Midnight Club." In 1942 film Holiday Inn, in what city and state was the Holiday Inn located? The Holiday Inn was in Midville, Connecticut. Besides being a Christmas movie, what genre does Holiday Inn fall under? A musical. On which days is the Holiday Inn open? It's only open on holidays. What song from Holiday Inn was the number one Christmas song until 1997? "White Christmas" (and it still fluctuates between the number one and number two spot!). In the 2000 feature film version of How the Grinch Stole Christmas, what was the name of the mountain range where Whoville was located? The mountain range is called "The Pontoos." Who wrote the picture book that was inspiration for the 2000 film How the Grinch Stole Christmas? Dr. Seuss. Where does How the Grinch Stole Christmas take place? Inside of a snowflake. How many sizes does the Grinch's heart grow once he gets feelings? His heart grows three sizes. What does Cindy Lou Who give Max, the Grinch's dog? She passes him a plate of green eggs and ham. 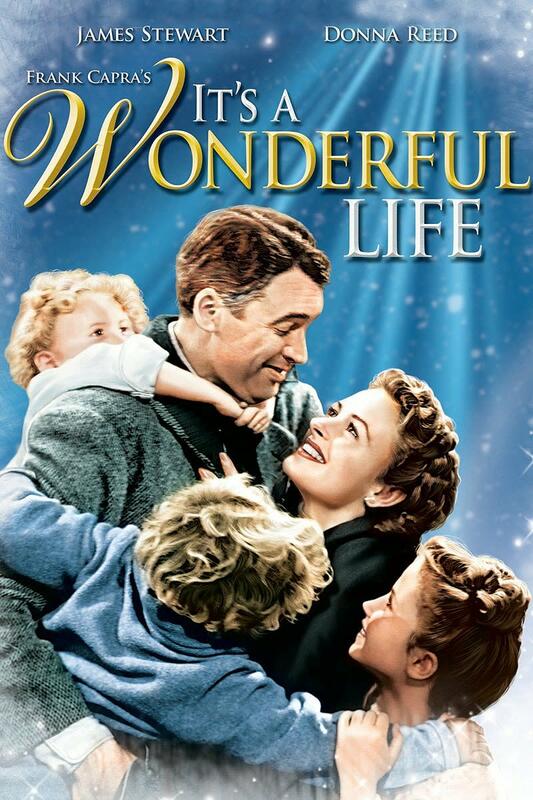 Who directed the 1946 classic Christmas film It's a Wonderful Life? Frank Capra. In the 1946 film It's a Wonderful Life, what is the name of the town that George Bailey lives in? Bedford Falls. Who plays George Bailey? James Stewart. Despite being set during Christmas, what was the weather like during the filming? The movie was filmed during a heat wave. What is the name of George Bailey's guardian angel? Clearance Odbody. 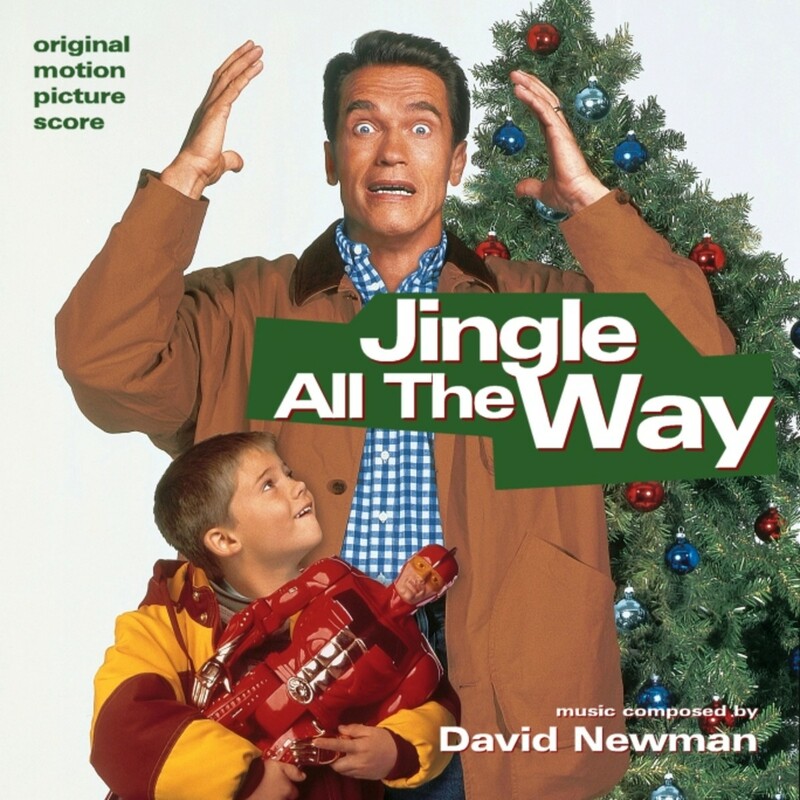 In the 1996 Christmas comedy Jingle All the Way, what is the name of the action figure that the father in the film is desperately trying to obtain? Turbo Man. In Jingle All the Way, a 1996 Christmas comedy, the hero whose action figure the father seeks has a saber-toothed tiger sidekick. What is the tiger's name? Booster. What is the name of the actor who portrays the movie's male lead? Arnold Schwarzenegger. In what famous mall was Jingle All the Way filmed in? Minnesota's Mall of America. In what city did the 1947 film Miracle on 34th Street take place? New York City. 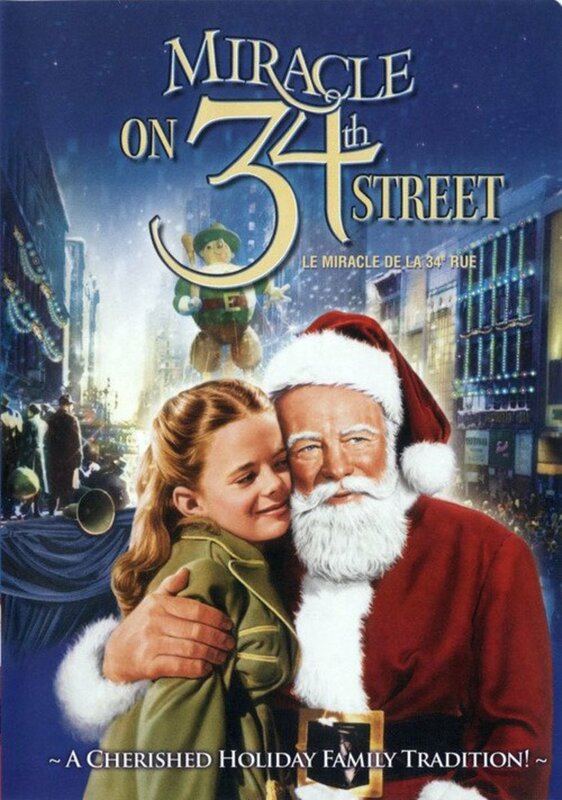 Not including made-for-TV movies, how many Miracle on 34th Street movies are there? Two. Who is put on trial? Kris Kringle. In what month was the 1947 Christmas film Miracle on 34th Street released? June. At what department store does Kris Kringle work at? Macy's. In 1989's National Lampoon's Christmas Vacation, how long has Cousin Eddie been unemployed? Eddie has been unemployed for seven years. 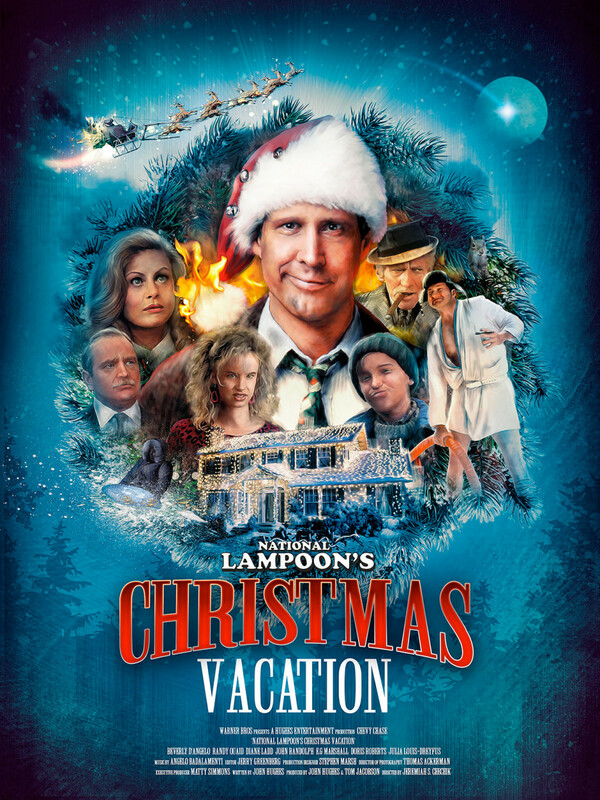 In the 1989 comedy National Lampoon's Christmas Vacation, what had Clark Griswold been planning to buy with the Christmas bonus he expected from work? Clark Griswold was going to get a swimming pool. As the Griswold's are putting up their Christmas tree, what Christmas classic can be seen in the background? It's a Wonderful Life. What once-popular slang is this movie inadvertently responsible for creating? "Griswold House," meaning an over-decorated home. What Lindsey Buckingham song is featured in every other Vacation installment except this one? "Holiday Road." My Favorite Christmas Movie Is "ELF" ... What's Yours? 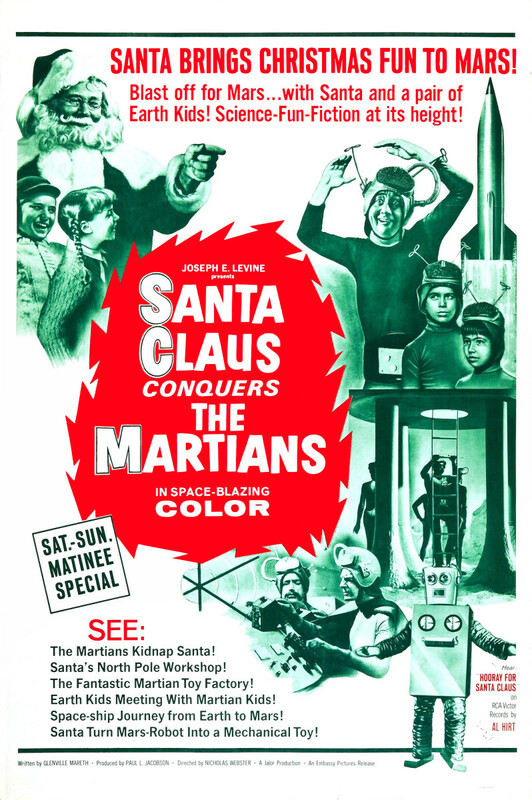 In the 1964 cult film Santa Claus Conquers the Martians, what are the names of the boy and girl that the martians kidnap while trying to find Santa? The martians kidnap Billy and Betty. 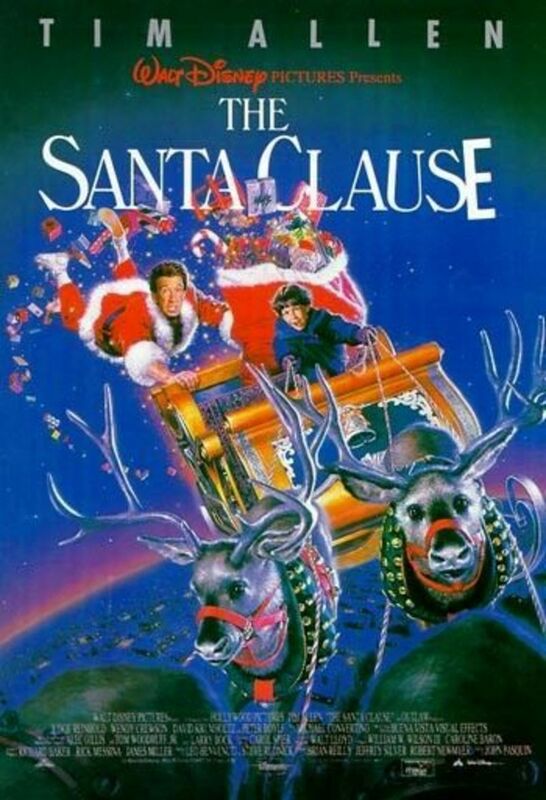 Which 1988-1999 TV series featured and poked fun of this Santa Claus movie? Mystery Science Theater 3000. Which late-night horror mistress featured this movie on her TV show? Elvira, Mistress of the Dark. The 800-year-old martian sage's name is "Chochem." In Yiddish, what does "chochem" mean? Genius. Which martian is elected to be Martian Santa? Dropo. 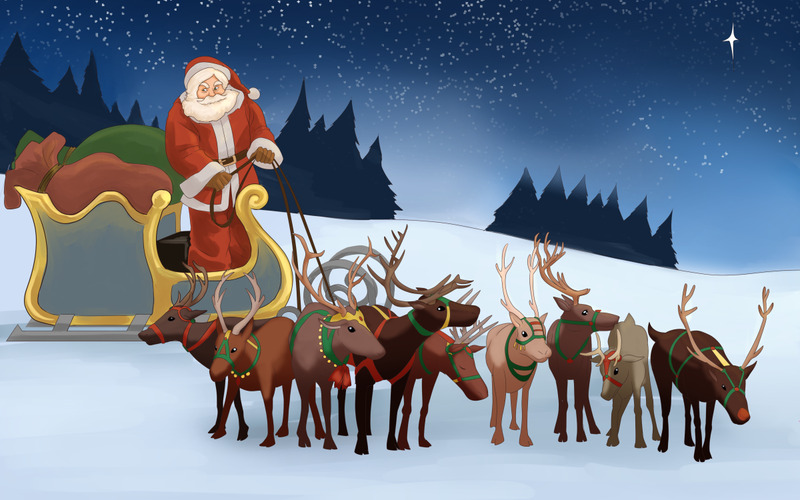 According to the 1985 film Santa Claus: The Movie, what are the names of the two (only two) reindeer who pulled Claus' sleigh before he became Santa? Donner and Blitzen pulled Santa's sleigh. In the 1985 Christmas film Santa Claus: The Movie, what is the other name given for the elves in the film? The elves were called "The Vendequm." 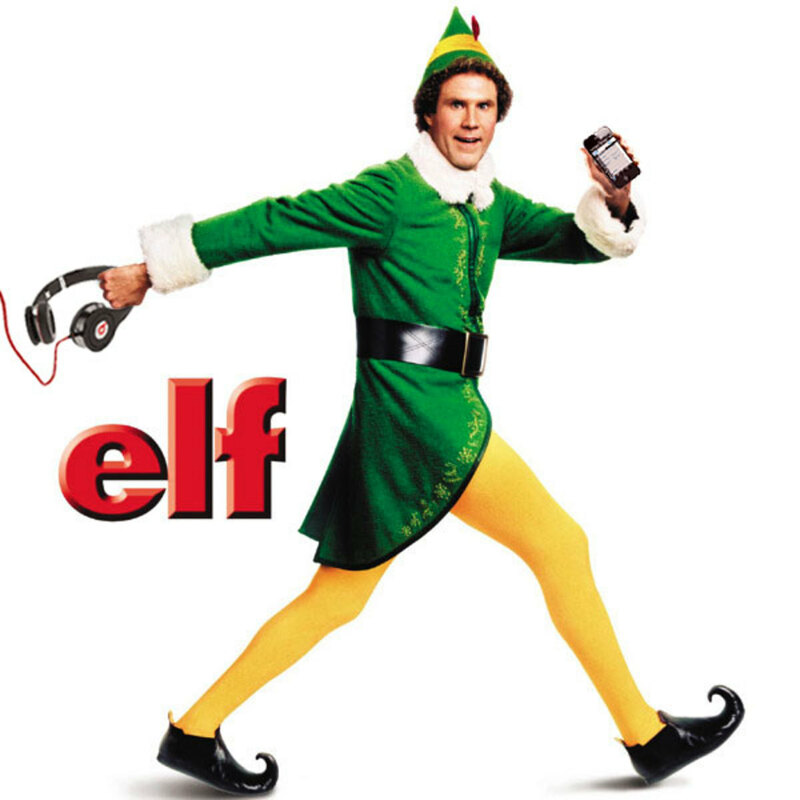 In 1985's film Santa Claus: The Movie, what is the name of the elf played by Dudley Moore? Dudley Moore plays Patch the elf. Following the movie's completion, what was done with all of the toys featured in the movie? They were donated to various children's charities. Who plays the movie's villain? John Lithgow. 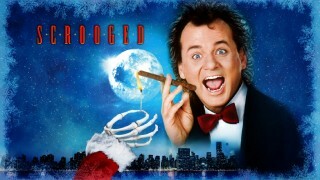 Referring to the 1988 comedy film Scrooged, what was Bill Murray's character's name? Frank Cross. In the 1988 Christmas film Scrooged, what is the name of the dead executive who visits Bill Murray's character to warn him of the three Christmas ghosts' visits? Lew Hayward, the dead executive, visits Frank Cross in Scrooged. How many of Bill Murray's brothers appear in this film (however briefly)? Three. The film's tagline, "Bill Murray is back among the ghosts, only this time, it's three against one," is a reference to which other Bill Murray movie? Ghost Busters. The Ghost of Christmas Past appears as what mythological creature? A fairy. 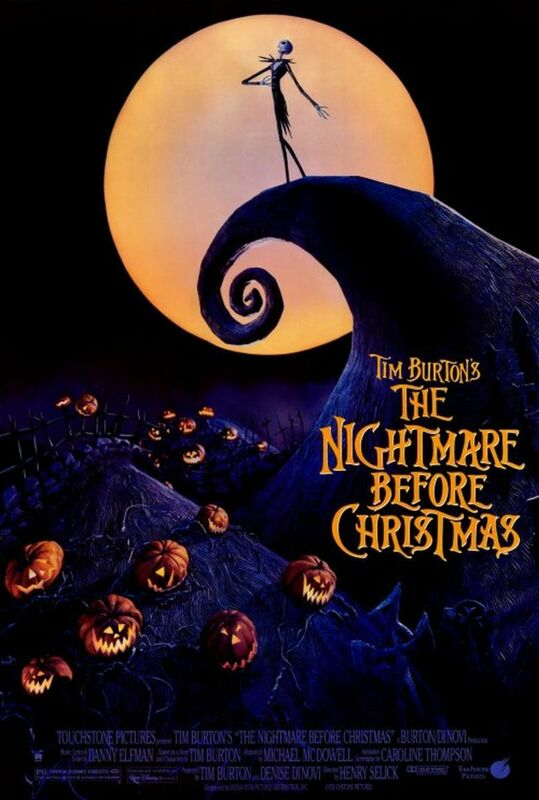 In the 1993 Tim Burton stop-motion animated feature The Nightmare Before Christmas, what is the name of the Pumpkin King of Halloween Town? Jack Skellington. 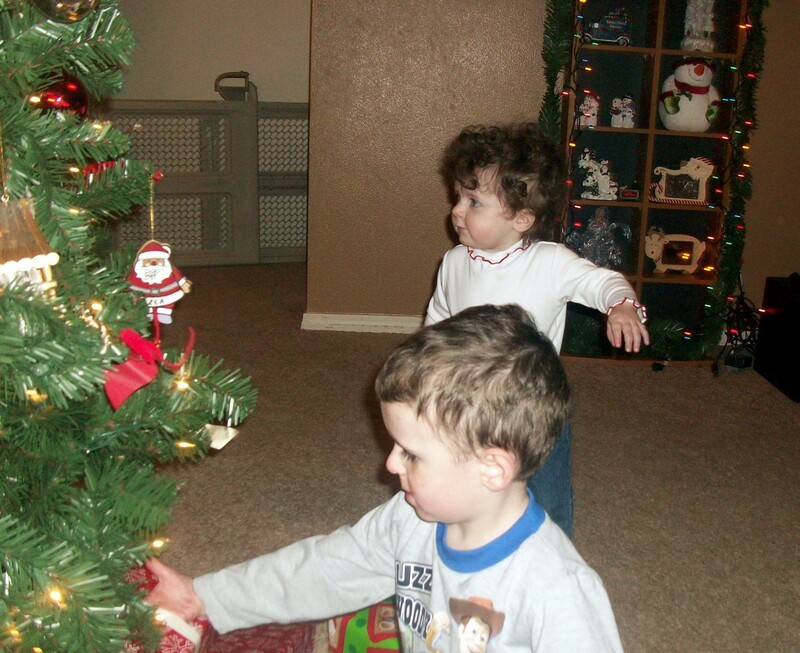 Jack tasks a trio to "kidnap the Sandy Claws." What are the names of each individual in the trio? Lock, Shock, and Barrel. Once the fog rolls in, who does Jack place at the head of the reindeer so that he can see through the fog? His ghost dog, Zero. Who wrote Nightmare's music? Danny Elfman. Who directed Nightmare? Henry Selick. In the 2004 animated feature The Polar Express, what letters does the conductor punch into the main character Billy's Polar Express ticket when he punches it? Billy's ticket has the letters B&E punched into it. 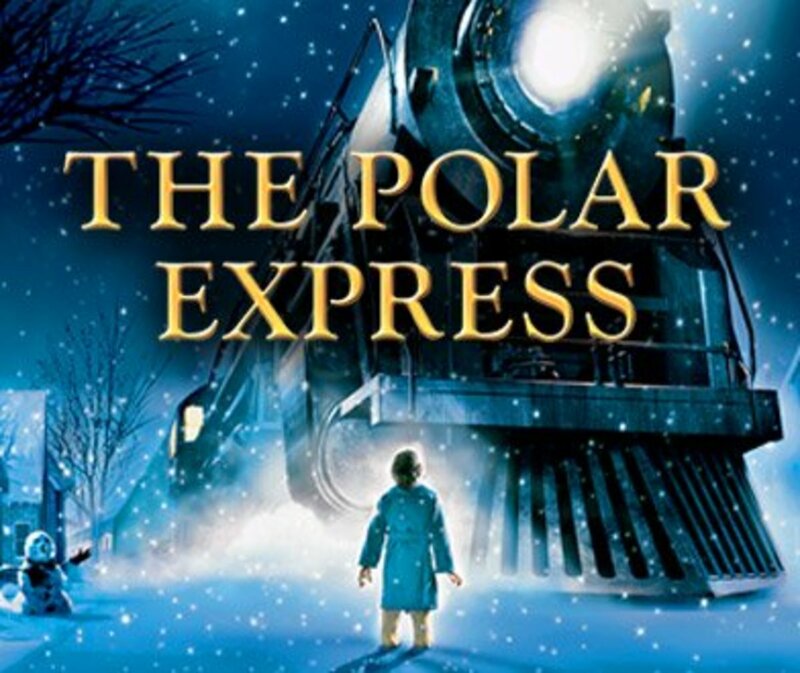 What noted actor provided the conductor's voice for the 2004 animated film The Polar Express? Tom Hanks voiced the conductor. In the movie, how many children on the train are referred to by their names? Only one: Billy. How did the hero boy lose the bell? He has a hole in his pocket that it falls through. For whom does the bell ring? The bell's ring can only be heard by those who truly believe. In the 1994 film The Santa Clause, what is the restaurant that Tim Allen's character, Scott Calvin, takes his son to after burning the Christmas turkey? They go to Denny's. 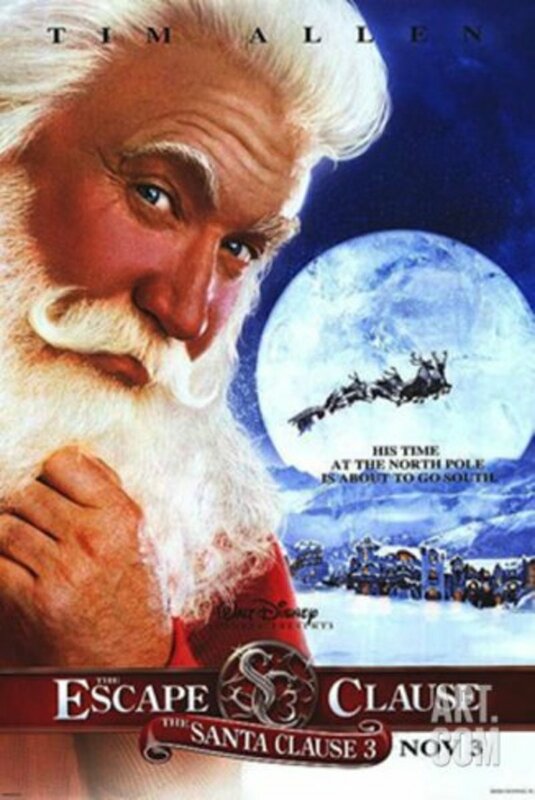 Referring to the 1994 film The Santa Clause, what is the name of the dark-haired head-elf that Scott Calvin meets when he first arrives at the North Pole? Bernard. In the 2002 film The Santa Clause 2, what appropriate number is Santa wearing in his sweater during the football game with the elves? Santa's sweater had the number 25 on it. According to the 2002 film The Santa Clause 2, how many days does Santa have to find a wife when he is first told he has to marry? Santa had 28 days to find a wife. 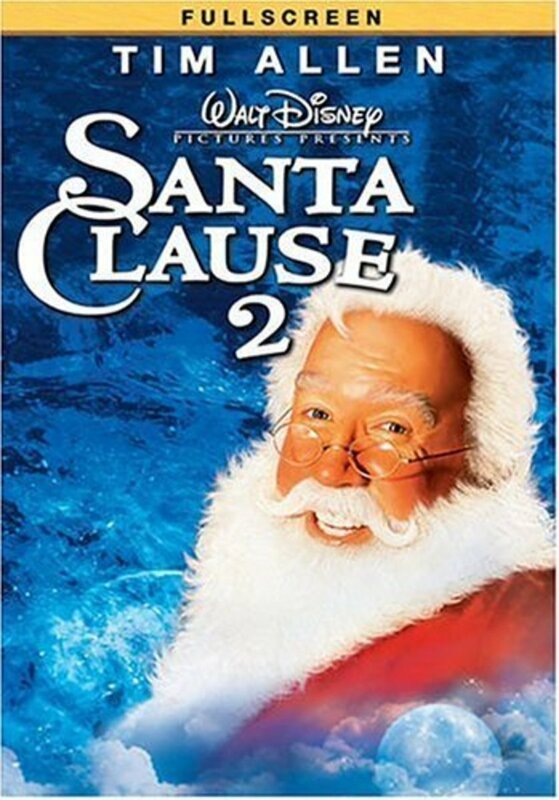 In the 2006 film The Santa Clause 3: The Escape Clause, which member of the Counsel of Legendary Figures is the film's villain? The film's villain is Jack Frost. In the 1954 film White Christmas, what is the name of the inn that Bing Crosby's and Danny Kaye's characters are trying to save? The Columbia Inn. 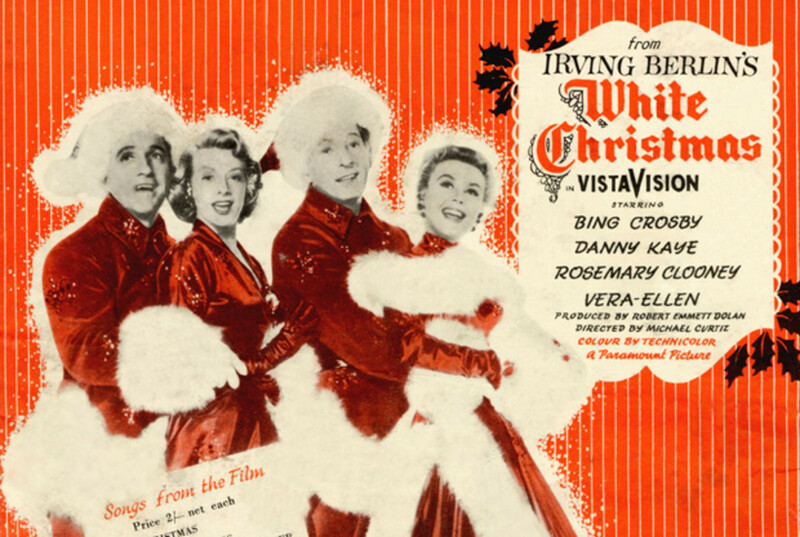 Referring to the 1954 film White Christmas, in what city and state was the inn that Bing Crosby's and Danny Kaye's characters are trying to save? Pine Tree, Vermont. During which war does this movie take place? World War II. 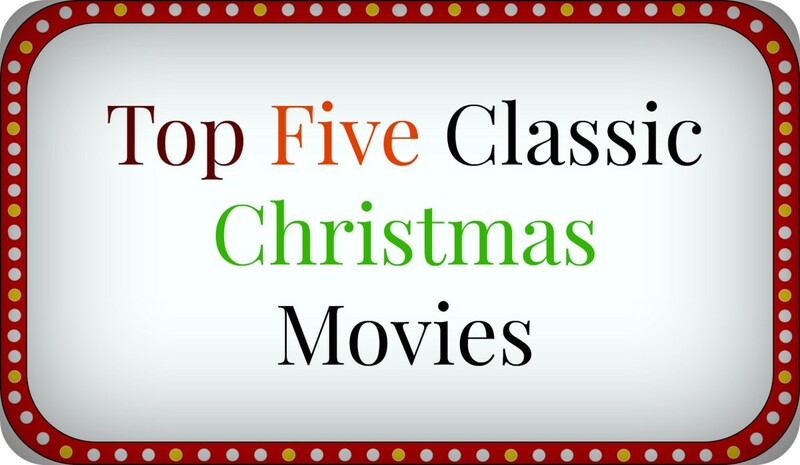 If you were to list the top five grossing movies of 1954, where would White Christmas sit on that list? At number one. One of the Polar Express answers is incorrect. Billy gets "ON" punched in his ticket, not B&E. The main character (Hero Boy) gets B&E.